"They are committed to outstanding service. You can feel the pride in all the little things they do to enhance the experience by stocking the car with refreshments, blankets, entertainment and more." "Thank you so much for the great performance. Everything went great for us. SLO Safe Ride was by far the easiest vendor of our wedding to coordinate and plan with. 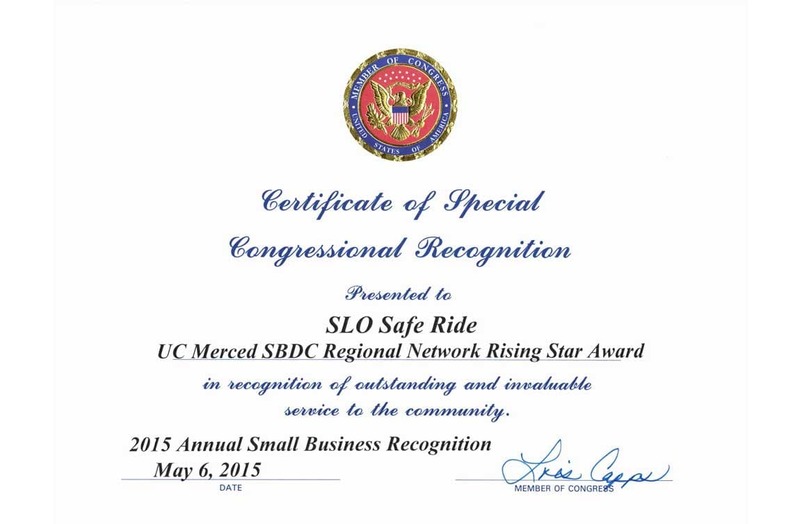 Thank you again"
"SLO Safe Ride did an excellent job in communicating with us. I appreciated the call from the bus driver once he arrived and informed me how he could be reached. He was quick to answer the phone and had all of the information on hand that we had provided. The event went very smoothly for us. Thank you!" "Our driver Chelsea was amazing!!! She was prompt, friendly, and her customer service was out of this world! Thank you." "Everything went wonderfully! Thank you so much for getting the Walker-Mezer guests home safely. Your services are greatly appreciated. Thank you for always being awesome!" "I recommend SLO Safe Ride to anyone looking for a reliable shuttle service and a professional, enjoyable transportation experience." "Once again we had a great time thanks to your services. Dwayne is the absolute best, I swear the rides with him are almost more fun than the wineries! 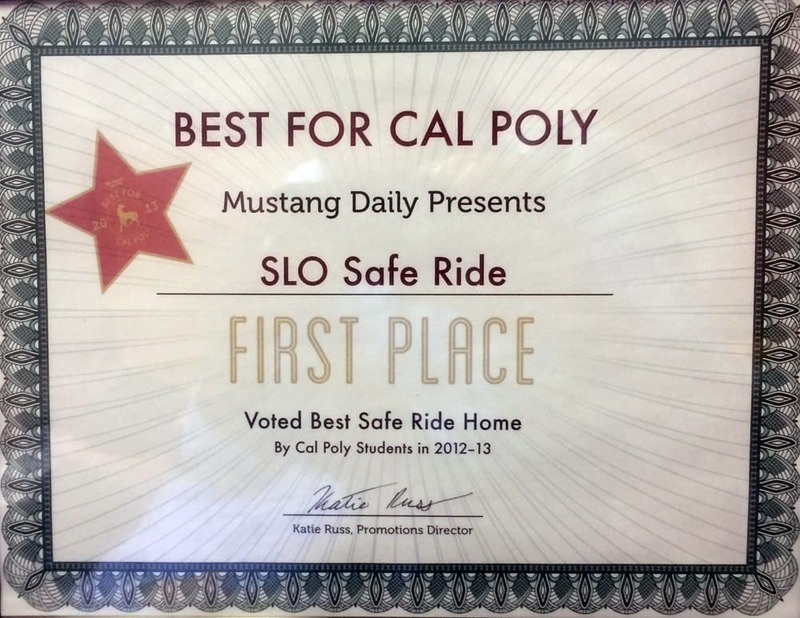 I will continue to recommend SLO Safe Ride to all my friends. I plan on booking another trip for my family and friends soon, so I will be in contact. Thank you for everything once again." "From all accounts all went beautifully and perfectly!! Thank you so, so much for always being so attentive to our requests, and so communicative, and in the end, giving our guests the perfect trip to and from our wedding :) Thank you thank you! p.s. Our friends LOVED the music! They were positive that Dave and I had picked it out!" "We had a great trip on Monday and very much appreciate your services. Keith did a wonderful job, was very communicative with us, was prepared with directions to the site and assisted us greatly with lunch delivery and sticking to our timeline. From our end, it was a great experience. Our thanks to you, Keith and Ryan for all your assistance in making this a great day for our members, and truly delivering on the kind of detail and accommodations that they have come to expect from our Chamber events." "Thank you for following up. Everything went great :). The drivers patiently made sure everyone was on the bus who needed to be for the trip home. We really appreciated the great service and the comfortable ride! Our guests enjoyed that they didn't have to worry about transporting themselves, and we were happy to know they would get back to their hotels safely. And it was a pleasure working with you, too!" "Everything was perfect. Paul is a real credit to your company. He was polite, safe, and very professional. The van was comfortable. We had a great time. Thank you so much, and we look forward to hiring you again." "THANK YOU! Yes, you, Dwayne and the overall service and experience with SLO Safe Ride yesterday was fantastic. Thank you again for your last minute help. All was fantastic. We look forward to doing business with you in the future as well." "Thanks so much for your service yesterday. The team had a blast and you guys were absolutely key." "Everything went very smooth on Saturday. Thanks for another great event together!"